Fez was developed by Polytron and published by Microsoft/Trapdoor. It was released on April 13, 2012 for 800 MSP. A copy was provided for review purposes. A few years ago Fez started making noise in the indie game scene as a game that had the potential to create a sense of immersion that would rival even the most cherished indie titles like Braid or Limbo. Polytron took their time with the game but now that Fez has finally released on XBLA, it’s clear that their time was well spent. Creating a game that forces gamers to truly think and explore these days is a fairly tall order. But Fez does just that. A sense of adventure and exploration accompanied by the classic 8-bit look will leave gamers swearing they have gone back in time to era they grew up in. An era where subtle clues were left behind for gamers to discover and slowly piece things together providing a true sense of accomplishment. An era where things may have initially looked simple but were far more complex once properly studied. In Fez you will take control of Gomez. He’s on a mission to explore a new dimension–the third dimension–from tearing the 2D world as he knows it apart. You’ll platform through the game in classic 2D style but with the press of any bumpers or triggers, you can rotate the world 90 degrees at a time giving you a new perspective on how you view the world around you. 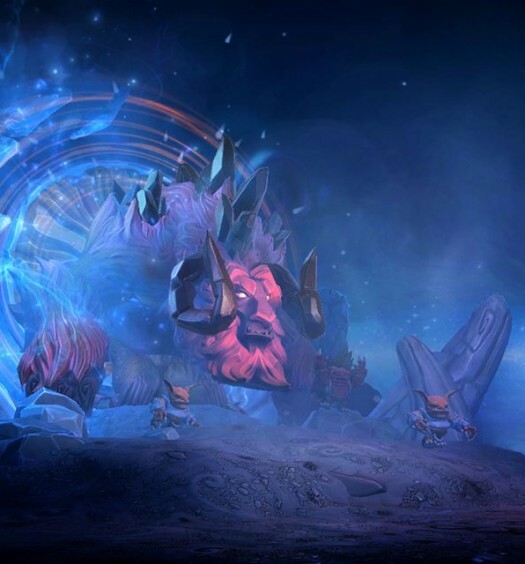 This acts as the core game mechanic allowing you to explore the unexplored and ultimately save the world by collecting pieces of a shattered hexahedron. 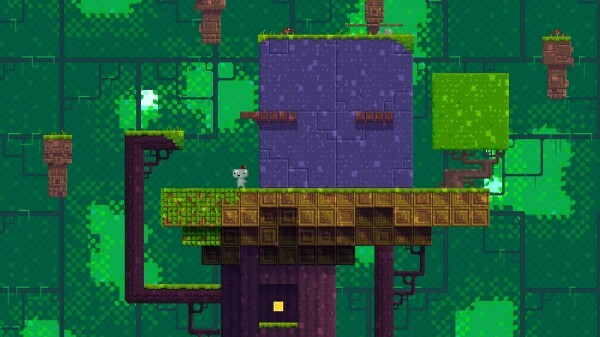 Nostalgic style – Fez oozes nostalgia from its 8-bit look to its amazing soundtrack. Many games try to mimic the essence of the classic NES era but Fez is light years beyond any other game trying to nail down this style. A modern color palette can do amazing things for an 8-bit game and the look of Fez is simply that; Amazing. Add a soundtrack to the mix that is an absolute pleasure to listen to and you have one of the best looking and sounding games to be released in the last few years. Degrees of difficulty – Fez has an amazing difficulty scale. You can make your way through the game with only half of the available cubes allowing the more casual players to enjoy the game without forcing them to figure out some of the most mind bending puzzles that Fez has to offer. If you are the type that likes a brain busting challenge, then Fez will fulfill your needs as well. There are very slight clues hidden in the levels at times that will help you figure out how to reveal the much harder to find anti cubes. These puzzles can be astonishingly hard and the sense of accomplishment you get when you figure one out is similar to the sense of accomplishment you might have had as a child finding a hidden area in The Legend of Zelda for the first time. The attention to detail – Some of the slightest things in Fez will make you smile from ear to ear. When you walk by a turtle you’ll notice a familiar animation from a platforming classic. There were a few instances where scanable QR codes gave hints to unlocking anti cubes. 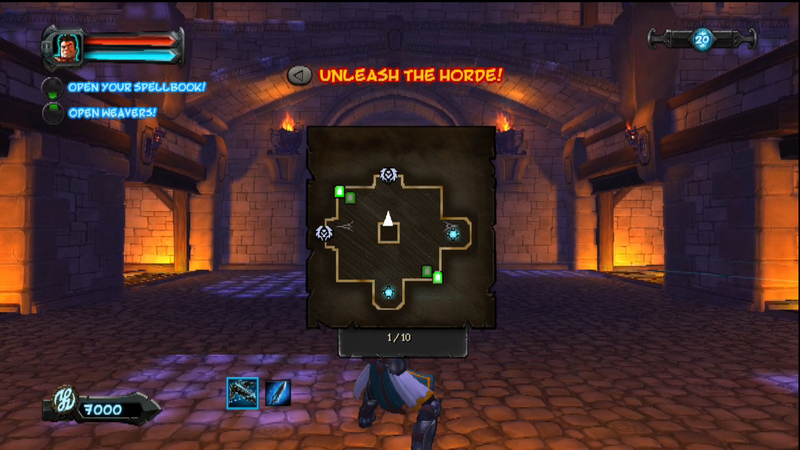 In-game treasure maps often offer some key advice to situations that may seem impossible at first glance. Strange language scriptures are carved in to environment pieces throughout the game that are very likely able to be deciphered into useful information. And oh my is the animation of Gomez struggling to remain on the edge of a platform absolutely adorable. Screen stutter – Fez tends to have a drop in framerate when the auto-save feature kicks in. Luckily this doesn’t seem to occur with every save but instead tends to happen at completely random times. And with the save system kicking in as often as it does, you really never seem to lose more than a few seconds of progress if this does cause you to fall to your death. It might annoy you a few times throughout your playthrough, but with no penalty for death, it is hardly to be considered a deal-breaker. 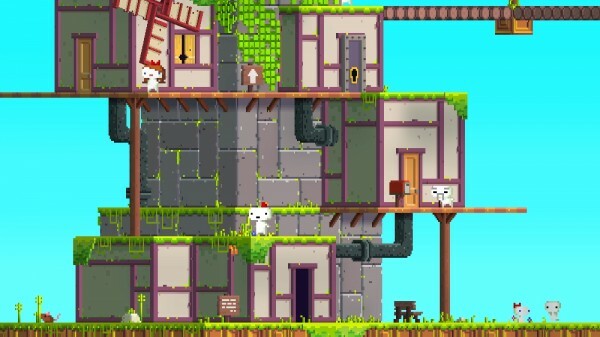 To put is simple, Fez is an absolute joy to play through. 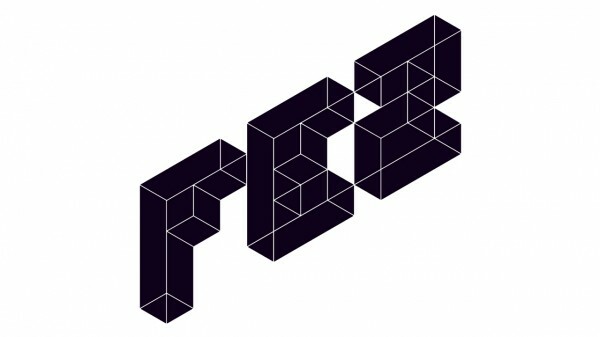 If you only buy one XBLA game this year, Fez should be that one game. It’s hard to explain what specifically makes this game so special because from start to finish Fez is packed full of amazing moments one right after another. It’s one of those games like Portal or Braid that is so remarkable, you’ll never forget playing it for the first time. In an industry full of foreseeable outcomes and predictable solutions, Fez manages to stand out as a rare gem packed full of imagination and surprise. Games like this are few and far between and should be cherished. Fez is an experience you’ll remember for the rest of your life. That doesn’t happen every day.